Looking for the coolest summer fashion and styles in Portland, Oregon? 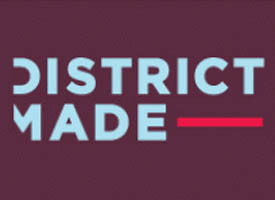 Contact Hart (Heart) Mind Soul for NEW District Made apparel options! NEW Men’s and Women’s blank T-shirt styles available for custom embellishment, embroidery and screen printing services near Portland, Oregon. 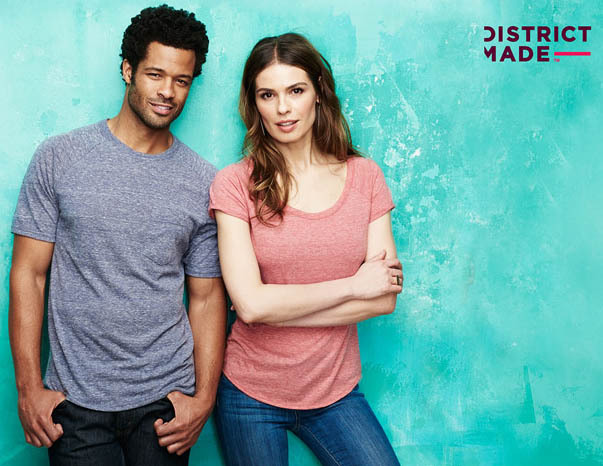 From the softest feeling T-shirt material on the ring spun Cotton, Distcict Made Vintage Wash T shirt style for women, juniors and men to our District Made 50/50 cotton polyester blend and Perfect Tri-Blend District Made T -shirts, experience a whole new level of comfort and fashion. Tank tops, crop tops, racer back, and more! Ask Hart (heart) Mind Soul about Portland Fashion Week Summer Fashions and learn more about Portland’s BEST custom screen printing and sticker distributor. Click here to contact the HMS nation for details on District Made custom screen printed T-shirts for your summer event, concerts, Kids summer camps, baseball or volley ball uniforms or other team sports apparel. best shirts Portland, District made mens womens shirt portland, District Made Portland, heart hart mind soul, HMS nation slim cut shirts, Slim Cut Shirt Printing Portland. Bookmark.